We have Bella Letters for our last day of Stamp Highlights. These delicate letters are perfect when your projects needs a personal touch. They are also great for making your own sentiments! Look how Ashley used Bella Letters can add a personal touch to a sentiment! 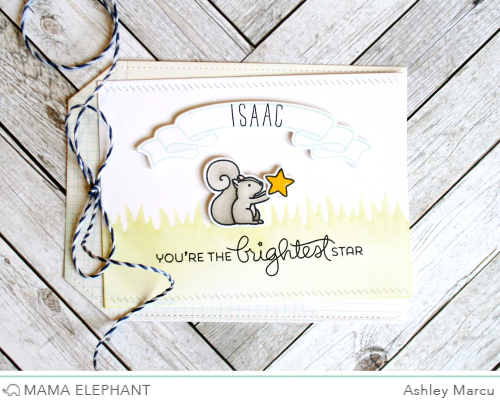 She created a tag using the new Woodland Gifts, a banner from Bloomsies and a sentiment from Shooting Star! So cute! The Bella Letters make perfect custom greetings. 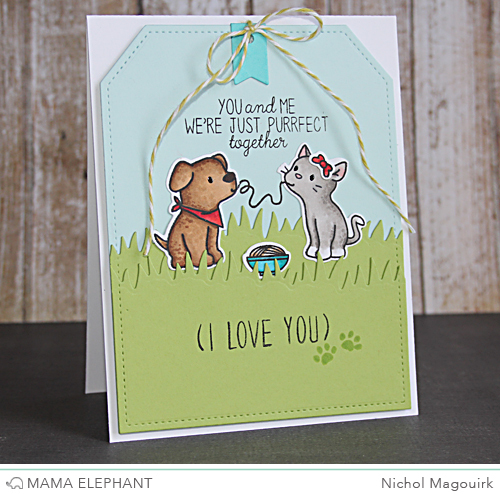 Nichol stamped a phrase along the bottom of the oversize tag to coordinate with the greeting from the Purrfect Pair Stamp Set. Geralyn combined Small Talk and Bella Letters to create this fun and unique card. We love how she stamped the alphabet and handstitched the 'HI' for the sentiment! Laura stamped a fun quote with Bella Letters and combined it with images from Playful Pups. 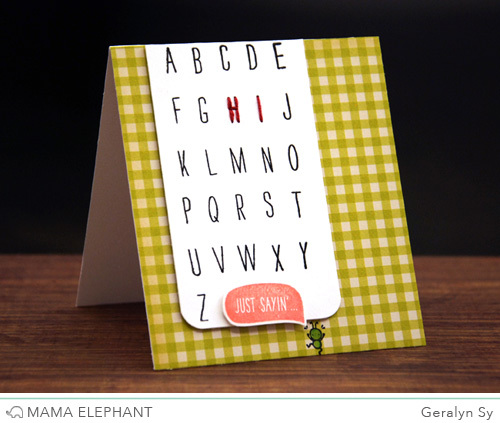 Pamela created this simple baby card using Potted Pretties, Small Talk and Bella Letters for a custom sentiment. 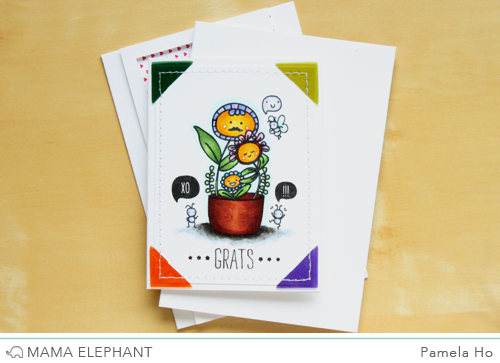 We love how these stamp sets work together so well! Nicole used Bella Letters to create this custom sentiment and did some fun watercoloring for some added interest. You guys and your amazing cards make me want all the products you used here! 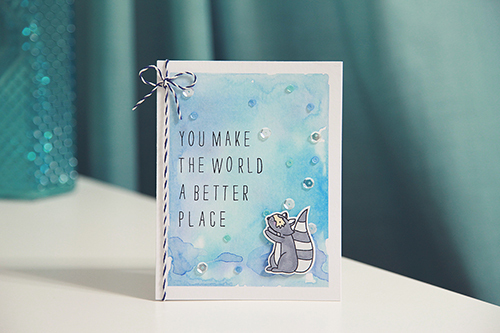 Such wonderful cards, awesome products, and great inspiration! Nichol's card reminds me of Lady and the Tramp. I always thought that was a darling part of the movie. Everybody's card was great - just two of my faves. Would you please have someone do a video on using these letters? I own the Bella Letters and cannot get them to stamp straight, no matter what I do! It sounds so simple, and I would love to be able to use them! Thank you.